Photo by Sue Farthing This common gallinule was found at Osceola Island Recreation Area. Ducks and other waterfowl are beginning to arrive in the region. 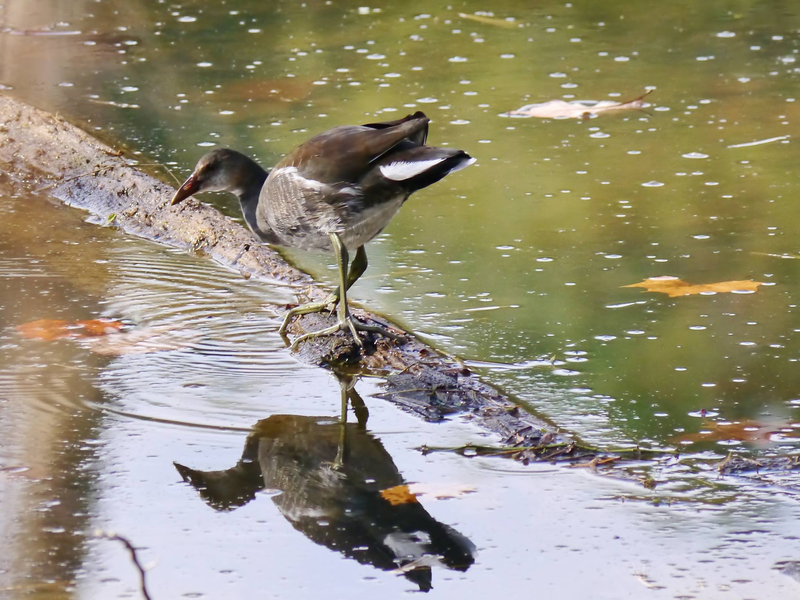 Those enjoying a walk on the trails at Bristol’s Osceola Island Recreation Area during the mild weather in the first week of November might have spied a rather unusual bird among some of the ducks. The Osceola Island Recreation Area is located about a mile from the base of Holston Dam and is one of my favorite birding areas. Through the years I’ve observed some interesting birds in the woods through which the trails wind, as well as in the waterways surrounding the island. Some of the more interesting birds that have made appearances at this location include white-winged scoter, harlequin duck, canvasback, bald eagle, American woodcock and pileated woodpecker. Photo by Sue Farthing A nearly submerged log provides a pathway for a common gallinule found at Osceola Island Recreation Area in early November. 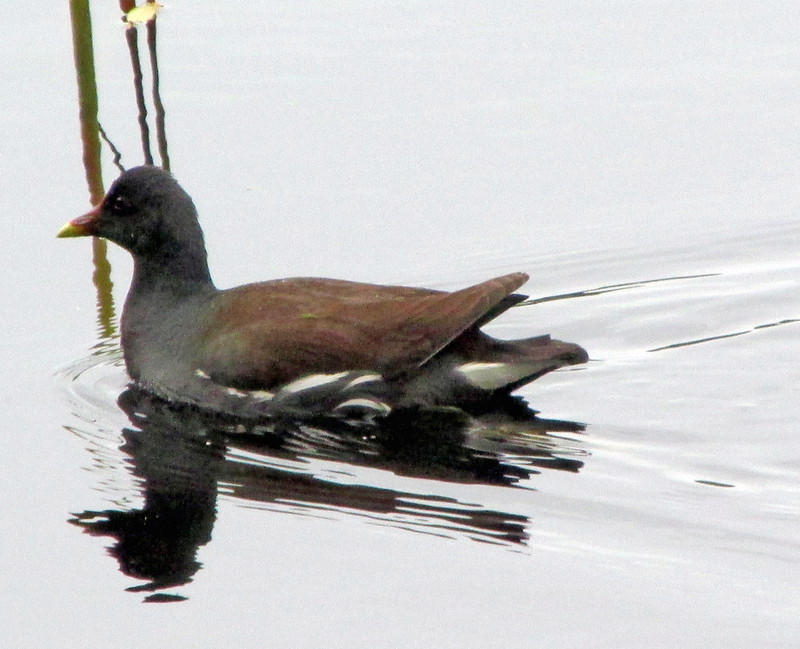 The most recent visitor to cause excitement among area birders was a common gallinule. 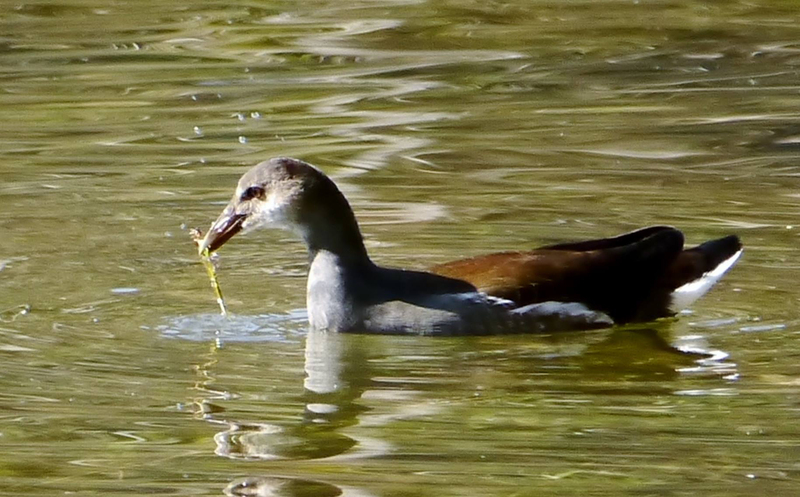 For a non-birder, this gallinule looks similar to some of the ducks that frequent the waterways around Osceola Island — similar, that is, if the duck in question had suddenly grown long legs and acquired a bill more suited for a chicken than a duck. Photo by Jean Potter This Common Gallinule was photographed in South Carolina, a more likely home for this bird than wandering near Holston Dam in Bristol. The common gallinule is a bird more at home in the swamps of South Carolina or Florida, where it may occur in conjunction with a close relative, the purple gallinule. In 2011, the American Ornithologists’ Union re-classified this bird, which had been long referred to as common moorhen, to its present name. 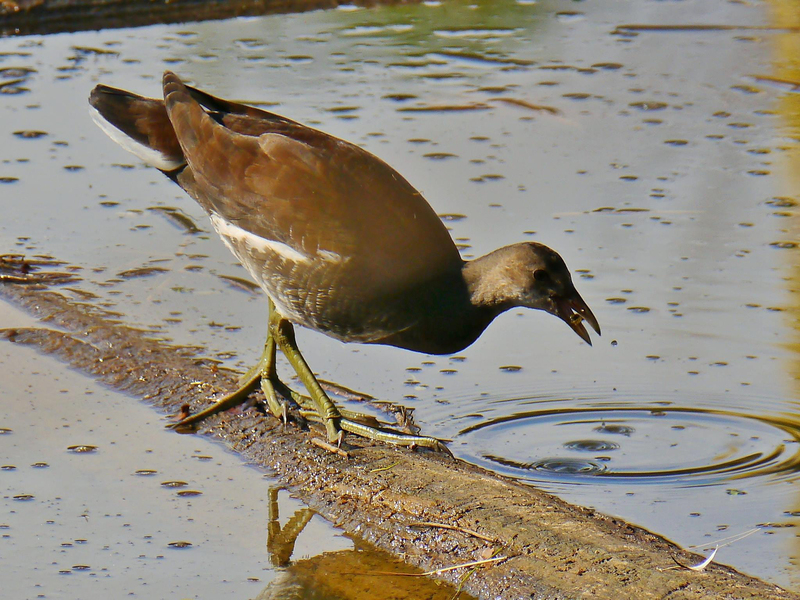 There is still a common moorhen, but this bird is now relegated to wetlands across Europe. 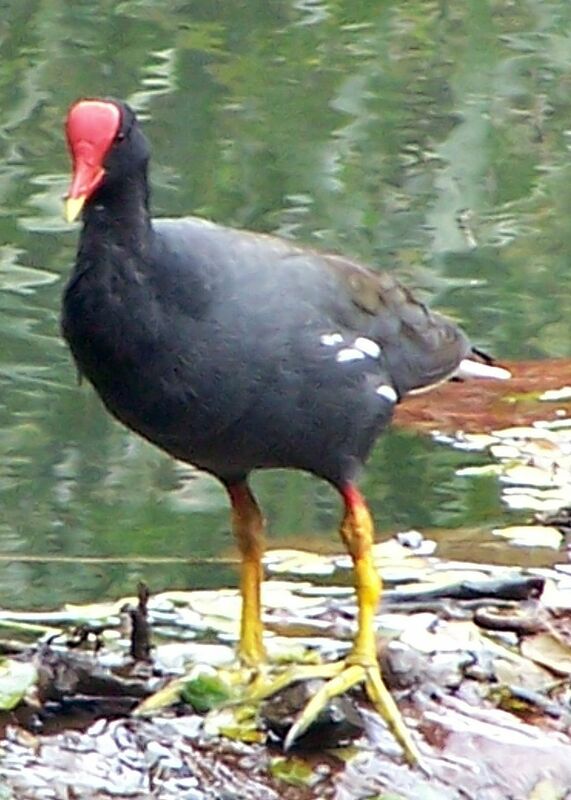 The common gallinule has a dark plumage of brown, black and gray. Its long legs are greenish-yellow in coloration. A reddish “shield” at the base of its bill gives this bird an easily recognized field mark to assist birders with identification. 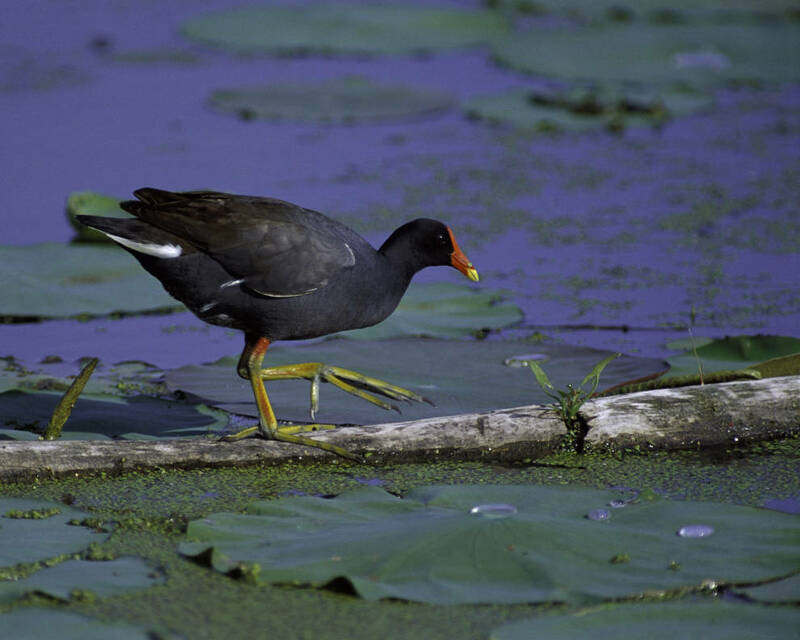 “Waterhen” and “marsh hen” are other common names for the gallinules, and is an apt description for the largely aquatic habitats preferred by these birds. Photo by Bryan Stevens This common gallinule was photographed in a South Carolina swamp at Huntington Beach State Park. The common gallinule’s stronghold is actually in Mexico, Central America and much of South America, but the species wanders extensively in the eastern United States, especially after the summer nesting season. 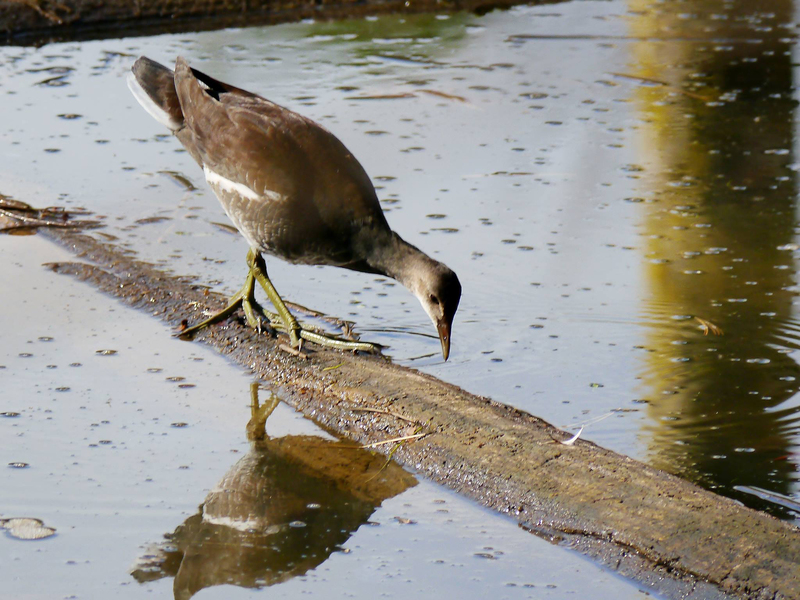 Gallinules and moorhens comprise an extensive, cosmopolitan family of birds known as the rails, or in scientific terms, the Rallidae. The family also includes birds such as coots and crakes. Not only have many members of the family colonized remote islands, they also occur on every world continent except for Antarctica. Photo by U.S. Fish & Wildlife Service A Common Gallinule wades in a wetland at Squaw Creek National Wildlife Refuge is a National Wildlife Refuge in northwestern Missouri. I’ve observed common gallinules in South Carolina and Florida. It is particularly common around the Disney resorts near Orlando in the Sunshine State. These birds have adapted well to co-exist with human activity. Birds I have observed in South Carolina have tended to be more shy and retiring. John James Audubon painted the Common Gallinule in its preferred wetland setting. When I observed this bird among a group of mallards and American wigeons near the weir dam at Osceola Island Recreation Area on Nov. 6, the sighting marked my first time seeing this species in Tennessee. Sightings at Osceola Island Recreation Area have now added two new species of birds to those on my list of birds from the Volunteer State. The first — a harlequin duck — took place back in 2000. To give an idea of the rarity of this bird in the region, the book, “The Birds of Northeast Tennessee,” by Rick Knight, lists only about 10 confirmed sightings in the region. The last sighting of a common gallinule before the one in question took place before 1992. This location is a great place to search for wintering ducks. 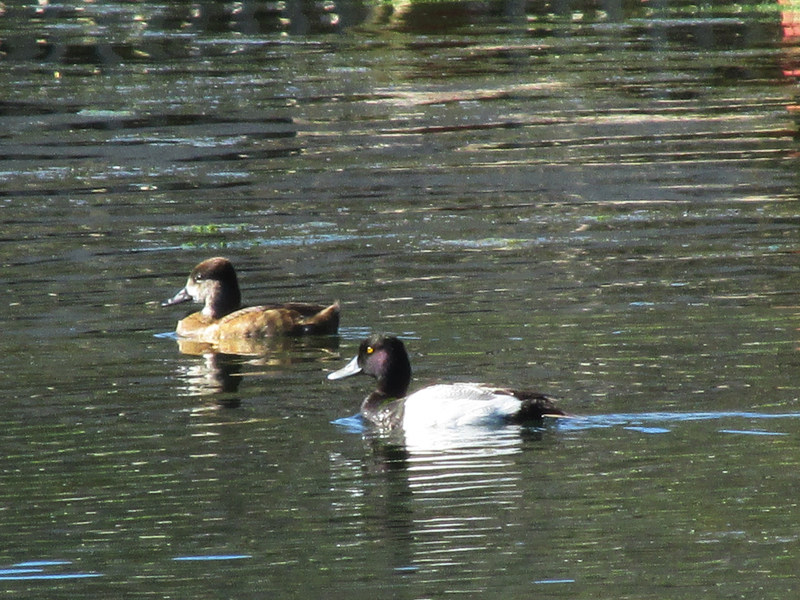 Some of the species that are likely to be present during the season include bufflehead, gadwall, redhead, green-winged teal and ring-necked duck. Photo by Pat McGrath/http://creativecommons.org/licenses/by-sa/2.0/ The endangered Hawaiian Gallinule remains in need of human help to ensure its continued survival. 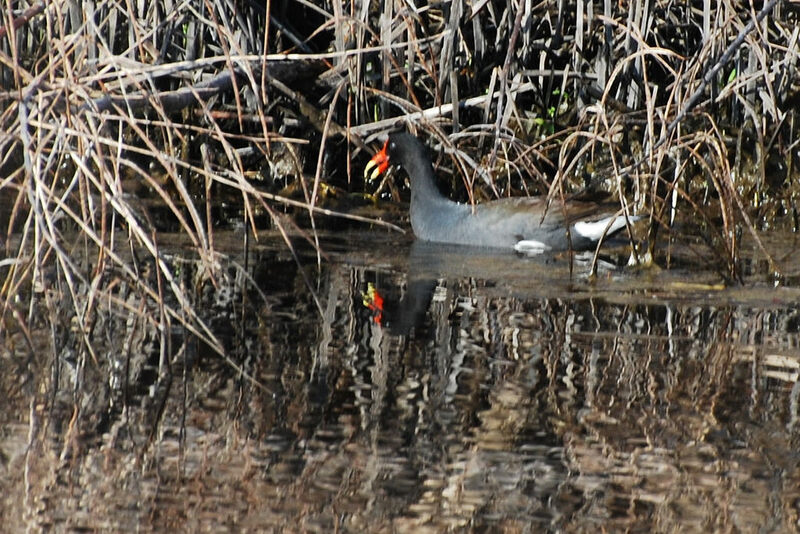 The common gallinule at Osceola Island Recreation Area was discovered by Johnson City birder Rick Knight on Nov. 2. Many other birders flocked to the weir dam to get a look at this rather rare visitor to Northeast Tennessee. After the bird continued to linger, I decided to travel to the weir dam on Nov. 6. During the visit, which I made with my mother, we also saw an American black duck, eight great blue herons and dozens of yellow-rumped warblers. We found the common gallinule wading among tree stumps and fallen logs near the shore of the main waterway between the road and the island. We knew the bird was present, thanks to a tip from Ron Carrico, a Bristol birder, who was present with his camera to try for photos of the rare visitor. He had seen the bird shortly before our arrival and suggested we try to find it from the other side of the river since it had moved out of viewing range from along the walking trail. Photo by Sue Farthing This Common Gallinule was an unexpected visitor to a public area near the South Holston Dam in Bristol. 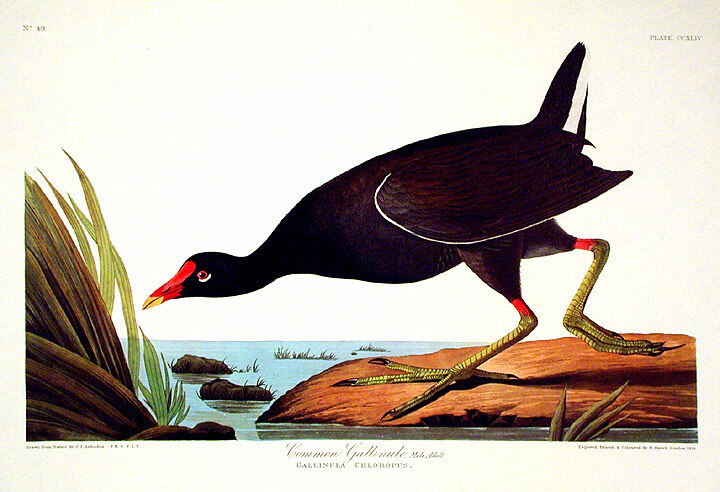 Other gallinules are found around the world, including the African swamphen, azure gallinule and the endangered Hawaiian gallinule. This bird likely evolved from some migrant common gallinules that long ago strayed to the Hawaiian islands. This bird probably numbers fewer than 800 individuals in the state of Hawaii. Photo by Bryan Stevens Ring-necked Ducks, such as this pair, are more expected visitors to Osceola Island Recreation Area during the winter months. This entry was posted in Birding, Birds, Gallininule, Moorhen and tagged Birding, birds, Bristol Herald Courier, Bryan Stevens, Carter County Compass, Elizabethton Star, Erwin Record, Feathered Friends, Gallinule, Gallinules, McDowell News, Moorhen, Moorhens, Our Fine Feathered Friends, The Erwin Record on November 29, 2015 by Bryan Stevens.